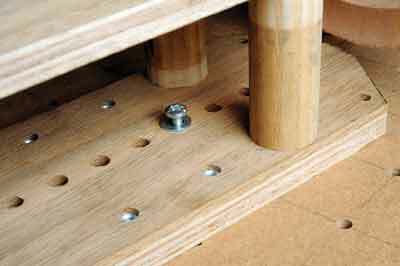 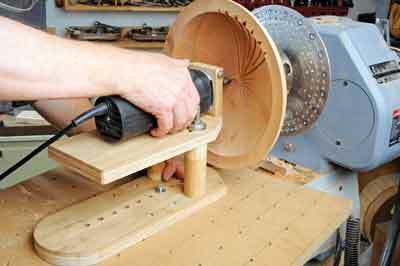 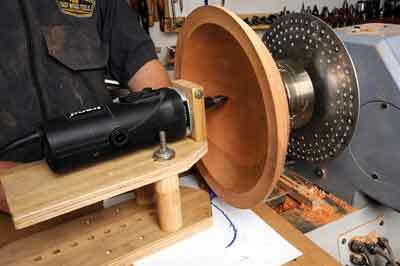 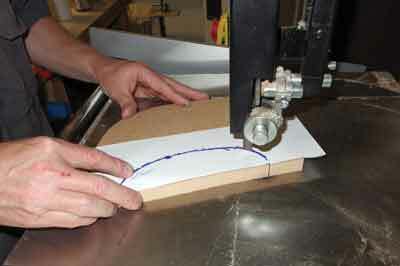 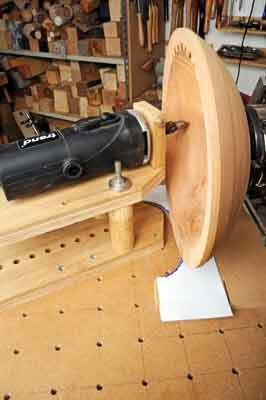 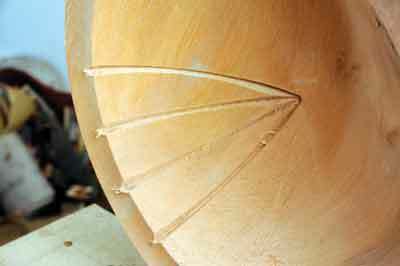 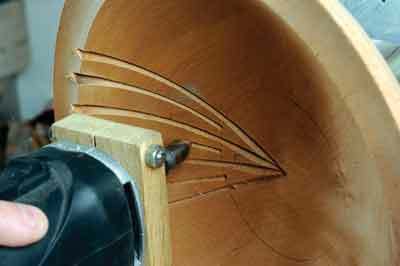 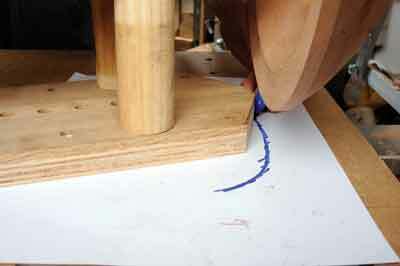 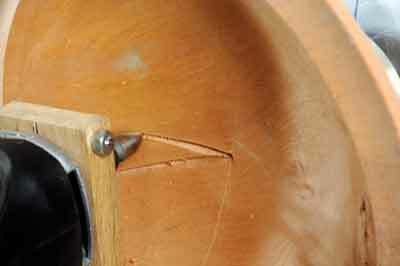 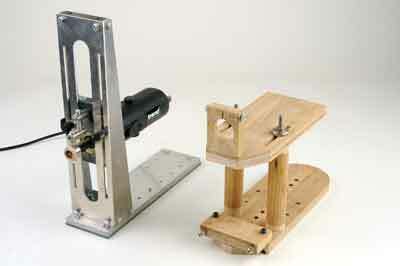 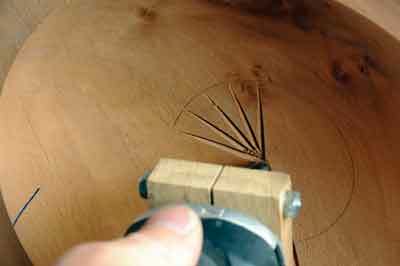 Whereas it is relatively straightforward to move a router along the outside of a spindle, vessel or bowl by using a shield around the cutter as a guide or using a template to run the base of the router setup against, internal curvature is rather more problematic, as we will demonstrate here. 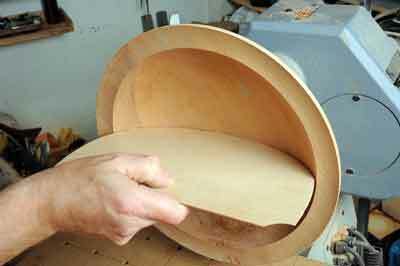 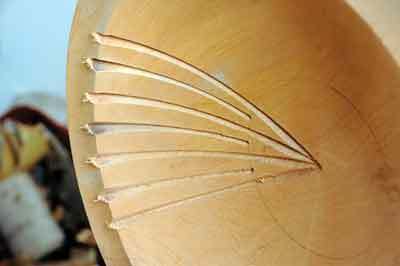 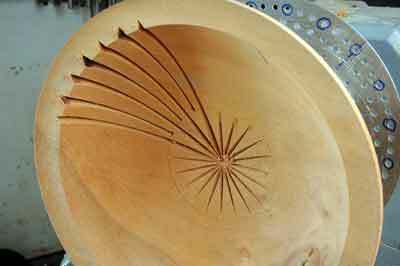 We are talking about shallow bowl or platter shapes, which seldom have a regular concave internal shaping. 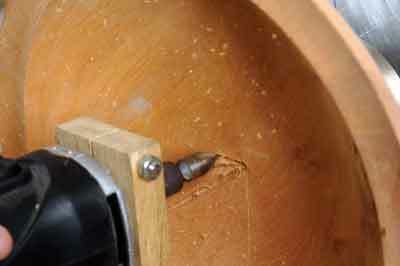 So, we need to consider two possible solutions. 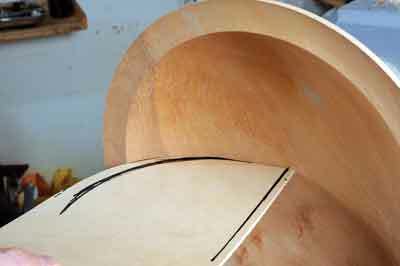 One, for a non-regular arc and two, for a regular arc profile. 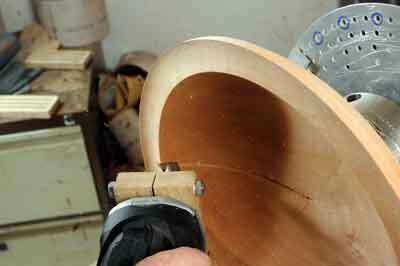 A vessel with a 'return' lip would pose a problem and would probably be impossible for the cutter to reach inside.